Saint Tukaram Maharaj says, without the help of a Sadguru, we cannot find our path to Moksha (Final Liberation); hence, we should first hold the Guru's feet, that is, we should make efforts to obtain His grace. Saint Tukaram Maharaj further asks, 'Why are people blind? They have forgotten God (Sadguru)'. Today, the daily life of most people is filled with hectic activity and problems. One who imparts precise knowledge on appropriate spiritual practice for acquiring peace of mind and Anand (Bliss) and how to perform it is none other than the Guru. As Saint Tukaram Maharaj rightly says, today's society has forgotten the importance of the Guru. The importance of the Guru described in this Holy text will help in creating faith in the Guru in the minds of the spiritually curious and the seekers. In the life of a disciple, the Guru holds supreme importance; because a disciple cannot realise God without Guru. Through this Holy text, the disciple will understand the true nature of the Guru through various aspects such as the Guru's form exhibiting paternal love for the devotee, His compassionate nature, various mediums of bestowing grace on the disciple etc. This will lead to strengthening of devotion in the disciple unto the Guru and he will be able to obtain maximum benefit from the existence of the Guru. The disciple is convinced of the Guru's importance; because, he has experienced the Guru's spiritual power. However, the individual in today's scientific era accepts only that which is tested by science; only then he believes in Spirituality and begins his spiritual journey. 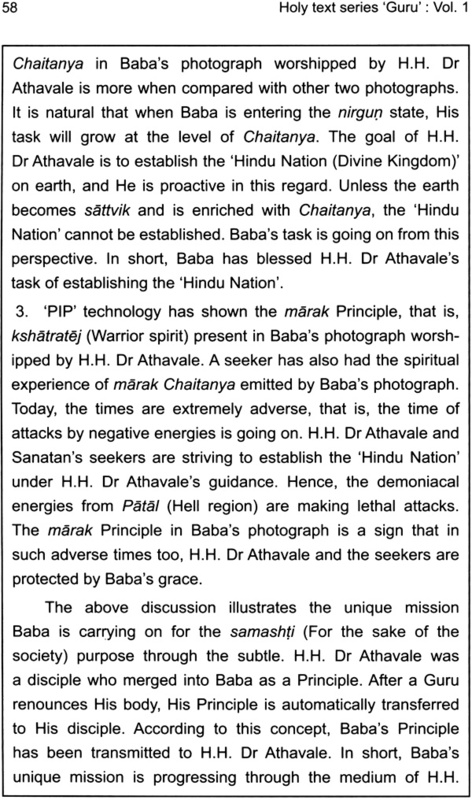 In this context, we have performed various experiments by using ‘PIP’ scientific technology on the photographs of our Guru H.H. Bhaktaraj Maharaj (Baba). 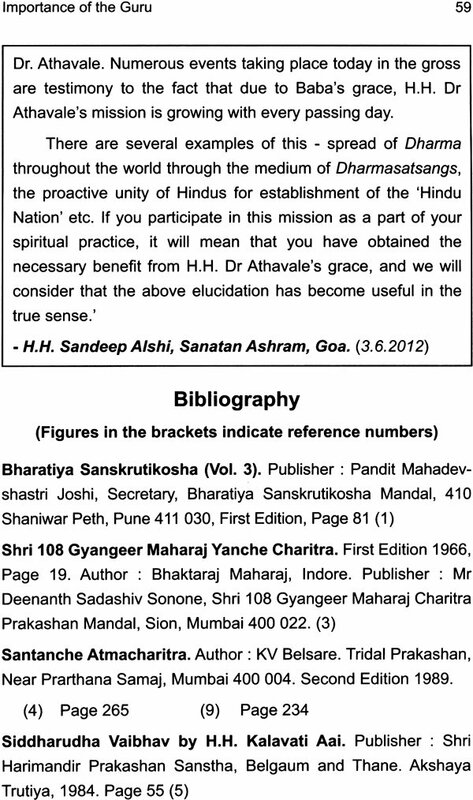 A unique feature of this Holy text is a novel elucidation on how the greatness of the Guru is proved with the help of science. The importance of the Guru is exceptional in the life of the disciple, because he cannot realize God without the Guru. 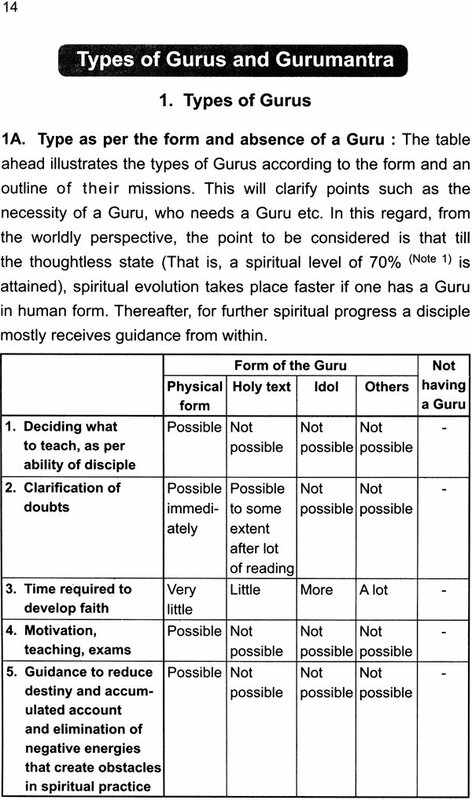 What is the difference between Guru, Sadguru and Paratpar Guru? 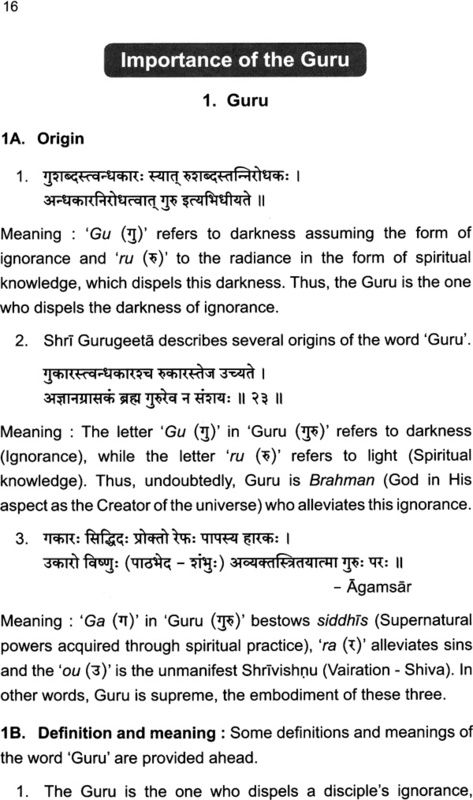 How to recognize a fake Guru? 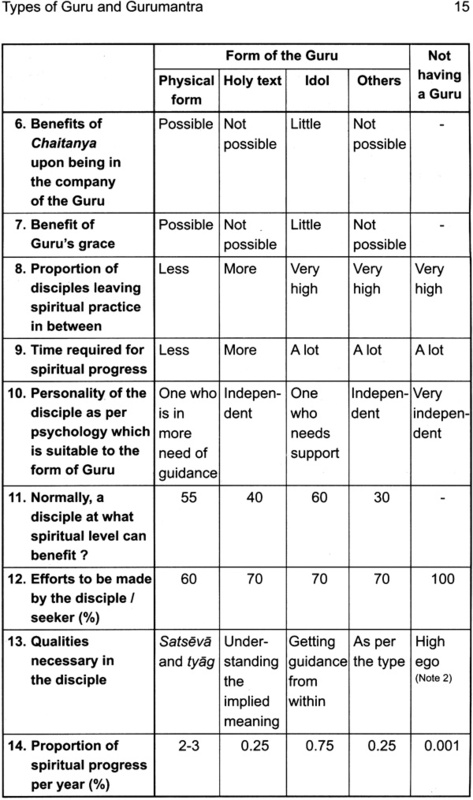 What are the attributes of a true Guru? 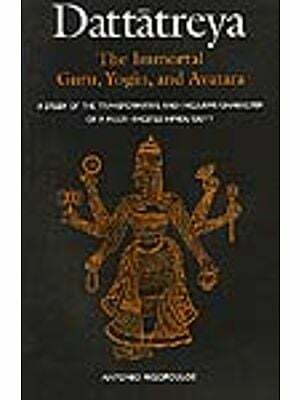 What are the misconceptions about the Guru-mantra? Which is the true Gurumantra? etc. Such issues have been dealt with in this Holy text.